My esteemed and wise colleague, Jason Torchinsky, is delightfully visiting our home underground bunker this week. Jason wanted to take the Yugo out for a spin. That shouldn’t have been a problem. 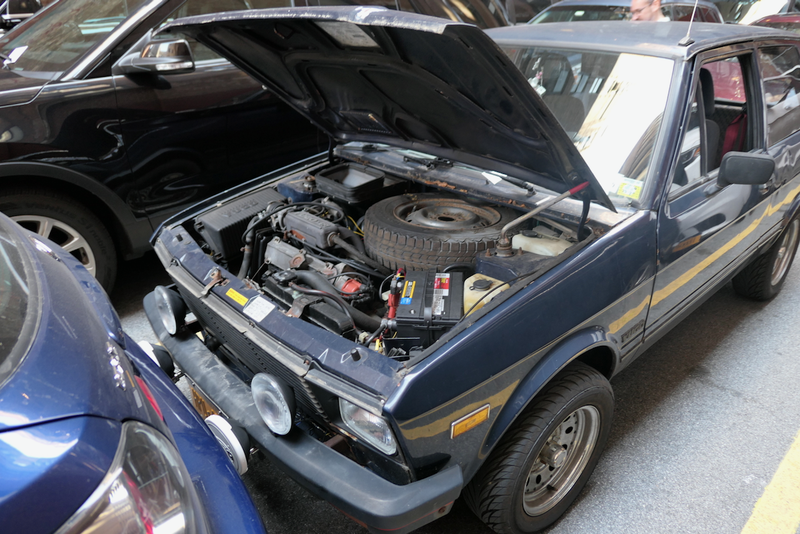 Except the Yugo, UNUSUALLY, had a problem. How odd. I mean, a Yugo? With a mechanical problem???? QuElLe SuRpRiSe. The crux of it all seems to boil down to some sort of electrical gremlin, but figuring out the root cause has always been an issue. The battery light is always on, but it’s had a fresh battery for a few months now and the alternator manages to keep it charged, and with my dumb and mechanically inept hands it never seemed like an issue enough to fix it. Though it does seem to cause one niggling, further problem. There’s a fuse that seemingly controls both the indicators and the wiper blades, and it’s constantly blowing. Just the other day I took the Yugo in for its annual inspection, and it nearly failed because it seemed to have no functioning wiper blades or indicators—to me, a harmless oversight, but to the authoritarian fascists running the great state of New York, an illegal violation. No matter, as the mechanic doing the inspection just scrounged around the footwells for another fuse, miraculously found one as the Yugo just does that sometimes, popped it in, and off the car went, legal and definitely extremely safe once again. But that was Sunday. Today is Wednesday, and with a new day came the same problem. The wiper/indicator fuse was blown. Again. And since there wasn’t enough time on the commute to stop at an auto parts store and get new fuses, I figured the car would just ride a bit dirty until I could get it to Jason. Since he’s a wizard, he’d surely figure it out. “You ever try the coin trick?” he asked. The coin trick? I’ve heard of bypassing the core, reversing the polarity, and accessing the EPS conduits. But not the coin trick. Fires are not illegal. But driving without indicators? Highly illegal. Gimme all the coins in the world then. I had a spare pair of needlenose pliers lying around, and Jason had a quarter. We were in business. The Yugo business, maybe, but that didn’t matter. With the quarter in there, the wipers and the indicators fired right up. Well, maybe “fire” isn’t the right word here. We agreed that while a fire is entertaining, it’s probably not the best for road safety. “You sure you don’t have another fuse somewhere?” Jason asked. To be frank, I’m never really sure of anything going on with the Yugo. So I figured screw it, and reached my hand down into the passenger footwell. Up came a handful of brand new fuses, a Yugo miracle in July. Who knows how long they’ll last.